As I type this, Ash Wednesday is a little over a month away and so here are a few suggestions for your Lenten reading. I Am With You by Kathryn Greene-McCreight. Examine the biblical portrayal of God’s presence among us as light in darkness. Close readings of scripture are woven into a framework patterned on the seven monastic hours of prayer and the seven days of creation. 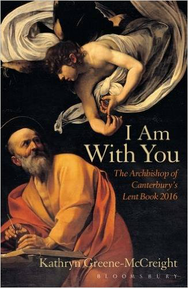 This is the Archbishop Of Canterbury’s Lent Book 2016. 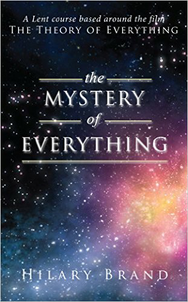 The Mystery of Everything by Hilary Brand. Based On The Oscar winning film, ‘The Theory Of Everything’, this course deals with struggles of reason vs. Faith; the romantic vs. the pragmatic; success and failure; the complications of relationships under pressure; and seeking understanding versus living with mystery. Reflections For Lent 2016. Written by some of today’s leading spiritual and theological writers these notes are designed to enhance your spiritual journey through Lent. They are extracted from the annual edition of Reflections 2015/2016, and feature a simple form of morning and night prayer and a guide to keeping a good Lent. Life In The Psalms. Contemporary meaning in ancient texts by Patrick Woodhouse. The Psalms lie at the heart of worship but today much of their depth is lost. The Psalms illuminate contemporary issues from climate change to celebrity culture; our response to asylum seekers to mental health issues. Discover, in the midst of the realities of a secular world, a deeper awareness of the mystery of God. This is the Mowbray Lent Book 2016.
www.aslanchristianbooks.com or telephone 08453 679 676 or I can order for you.